Ever since I was little, I've loved the Walt Disney Company and was fortunate to have my first Disney park experience when I was just 3 years old. I have since been able to visit Walt Disney World and Disneyland Resort on multiple occasions. Walt Disney once said "All our dreams can come true, if we have the courage to pursue them." 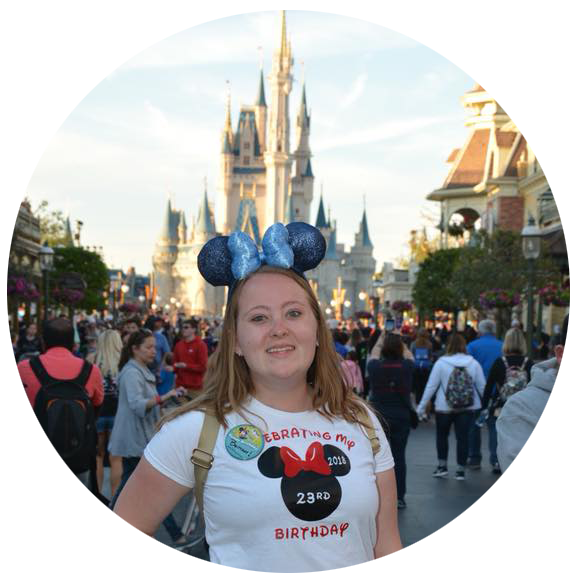 The Disney College Program gave me the opportunity of a lifetime, allowing me to fulfill a dream I didn't even realize I had until it was coming true - the chance to be a cast member at Walt Disney World Resort. I loved working in Disney's Magic Kingdom in Frontierland and being a part of the 20th International Food & Wine Festival at Epcot. Making magic for guests was something that I cherished and missed for a while after returning home to New Jersey - which is why I love being a Disney Travel Agent with Love the Mouse Travel. My experience as a former cast member, an Annual Passholder, and a self-proclaimed Disney fanatic allows me to stay up to date with all the happenings around Disney Destinations. Getting to have a hand in making someone's trip one they'll never forget is something I'm so lucky to get to do every day and I absolutely love sharing my passion for Disney with guests of all ages. Let me take all the stress out of planning a Disney vacation!